Like many kids, Miss Mini Yummers isn’t a fan of vegetables, and yet she will cheerfully polish off a bowl (or two) of this delicious veggie-packed soup every time I make it. 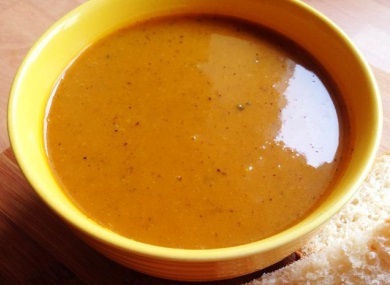 So it’s about time she, and you fellow mini yummers, learned how to make this yummy butternut squash soup. Even if you aren’t keen on vegetables usually, I guarantee you will love this recipe. There’s some preparation of vegetables where you will need a grown-up’s help, but we’ve tried to divide the tasks up fairly to keep everyone busy. Once the prep is done, the making of the soup is easy peasy. Butternut squash is technically a fruit, not a vegetable, as it has seeds inside. It comes from the same family as melons, pumpkins and cucumbers. 1. GROWN-UP–Peel and finely chop the onion. 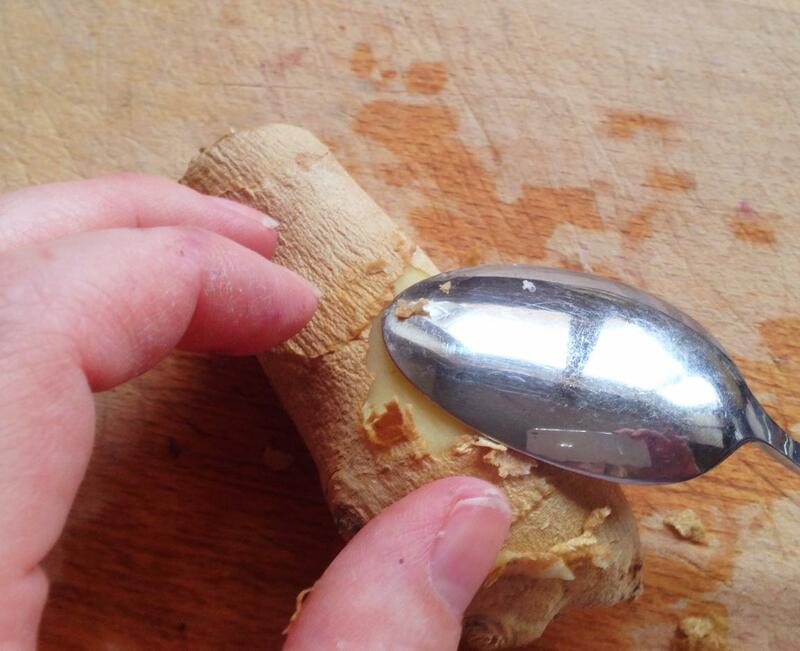 YOU–Peel the ginger using a teaspoon, and then finely grate it. 2. GROWN-UP–Peel the garlic cloves and finely grate them. YOU–Put oil in the pan, followed by the onion, ginger, and garlic. Get your allspice measured and ready. 3. GROWN-UP–Cut off the top and bottom of the squash. YOU–Peel the squash, and ask for help if you need it. 4. 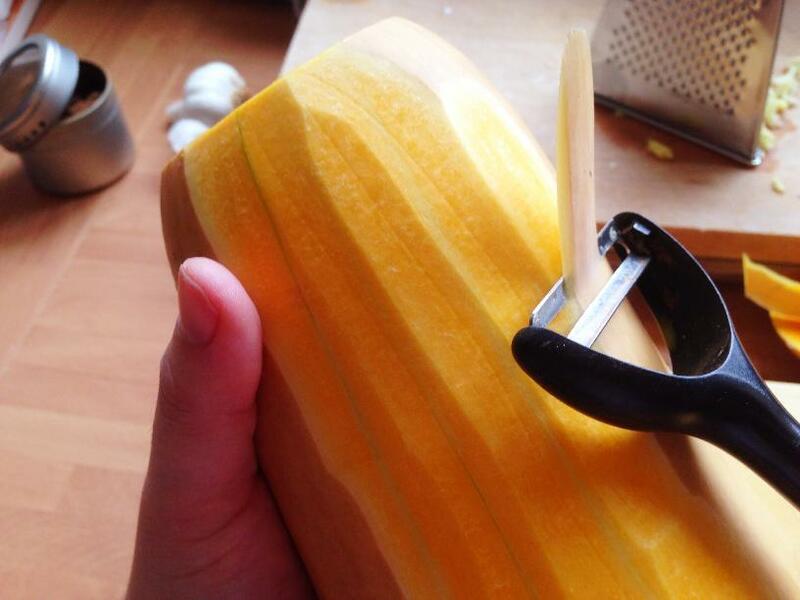 GROWN-UP–Cut the squash lengthwise. 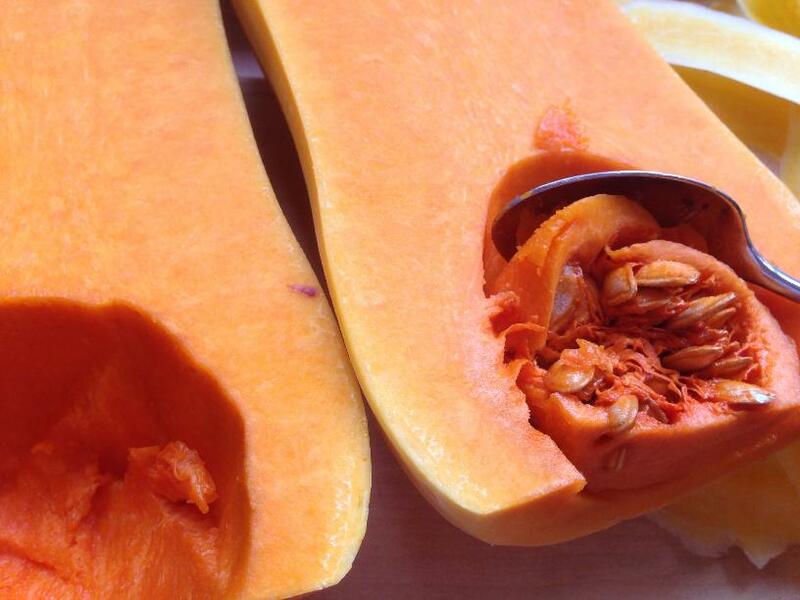 YOU–Scrape out the squash seeds using a teaspoon. 5. GROWN-UP–Cut the squash into chunks. 6. GROWN-UP–Core the apples, and cut them in half. 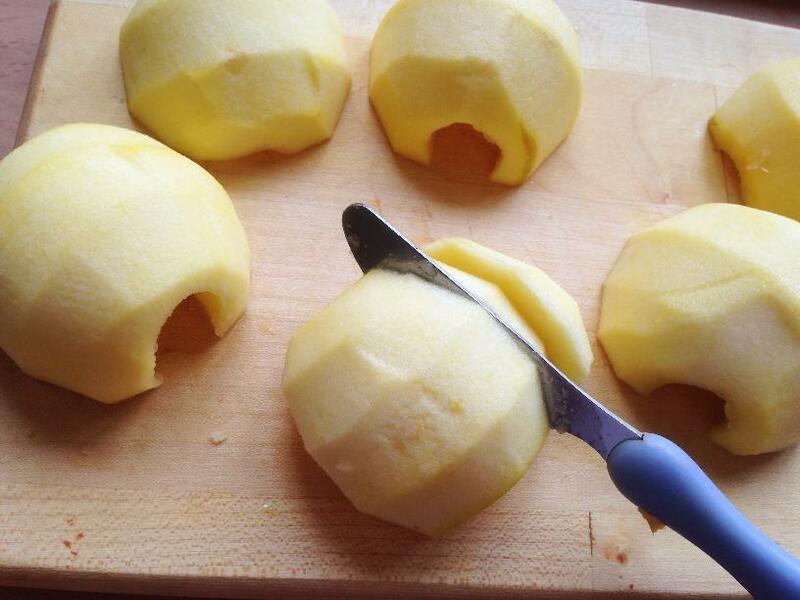 YOU–Put the apple halves flat side down, and cut them into chunks. 7.Heat the pan and cook the onion, ginger, and garlic until the onions are soft. Put in the allspice and stir to coat all the pieces. 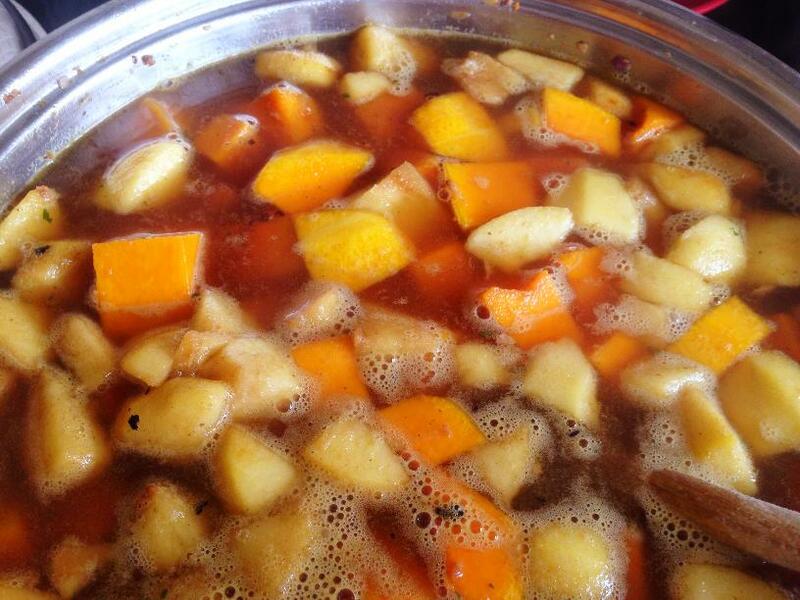 Put the squash and apple pieces into the pan, and stir well so that they are coated with the spicy mix. 8. Put a lid over the pan, and stir your soup mix every now and then, for about 10 minutes, until the pieces start to look a bit sweaty. 9. GROWN-UP–Pour in the stock. 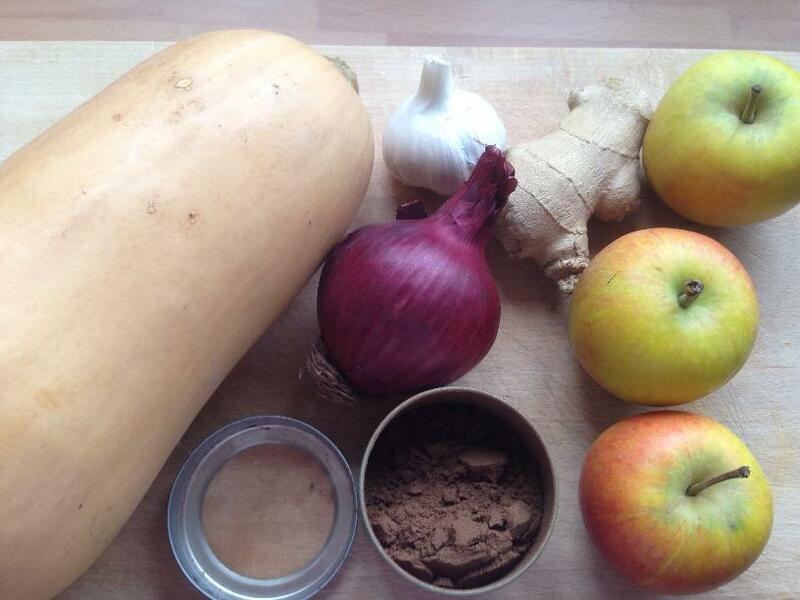 YOU–Give everything a good stir, and cook your soup mix until the squash and apple are soft (Try squidging them with the spoon to test). 10. Allow to cool. 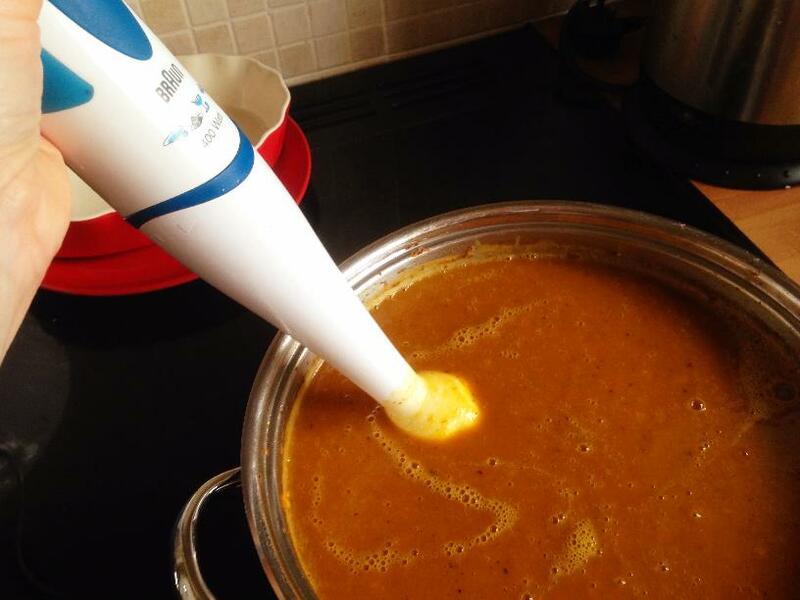 Then use a stick blender or a hand blender to whizz your mix into beautiful butternut squash soup. Reheat to serve. It contains a good amount of fibre–click here to see our article about why fibre is good for us. It is high in vitamin C–great for when you are unwell with a cold. 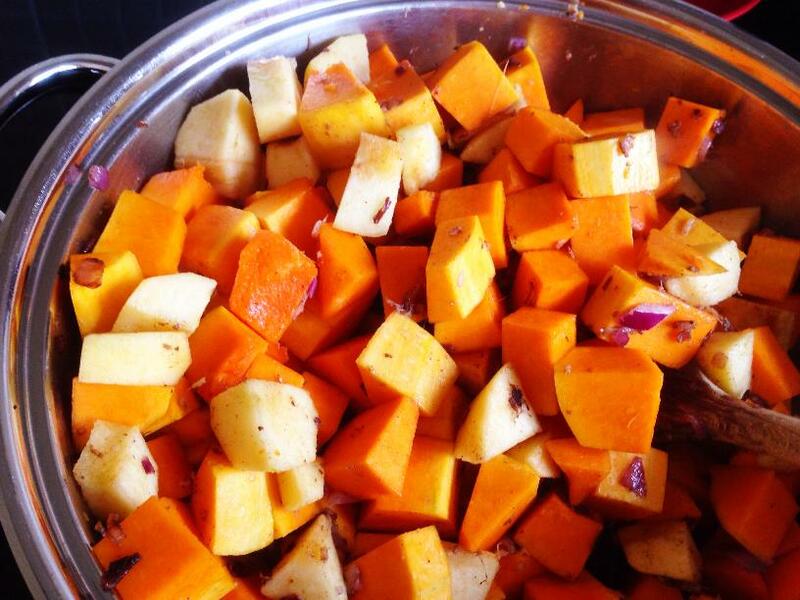 Overall, butternut squash is high in antioxidants, giving it anti-inflammatory effects, which can help asthma. The orange colour shows us that it’s also high in something called carotenoids–also found in carrots, as you might have guessed from the name. Carotenoids are really good at keeping our hearts healthy, among other things. Now you know how to make butternut squash soup, why not try making some flowerpot loaves or pita breads to dunk in it, if you have time.